click here to see Kit Car Magazine's Feature Article on our "Fire Breather"
You can Order One NOW!! What's in the Kit? Motor Included? What will my final cost for a Dragon be? I like the "Red Car" of the Kit Car Article. Can I get one like that? What's delivery time for a Dragon Kit? What about Fit and Confort? What Motors fit in a Dragon? Can I use a "Big Block"? How long does it take to build a Dragon Kit? Q1: What is included in "The Kit"? A: Basic Kits for the different Body Styles consist of our proprietary parts, namely Frame, Fiberglass Body pieces, Windshield Frame, Steering Shaft with U-joints and Heim Joint hangers, and a LIST of the rest of the parts you will probably need to complete your kit if you build it like we did using readily available off-the-shelf parts from various suppliers like Jeggs, Summit, Shell Valley, etc. Q2: Does "the Basic Kit" include the motor? A: Basic Kit DOES NOT INCLUDE the Motor or transmission or suspension pieces. 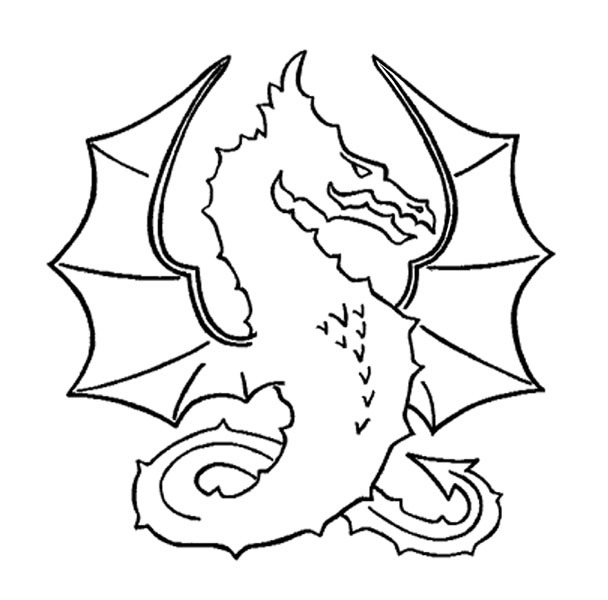 Q3: Is the Dragon Available as a "Turn-key"? A: At present time, we prefer to deliver only Frame and Body Kits, but, especially now that we are offering C5 platform, which allows purchase of ALL NEW parts for suspension and drive-line, we are wroking on a more complete package of main parts, minus enigne transmission and wheels and tires. If you don't want to build it yoruself, we would be happy to hook you up with a professional assembler. From time to time, we may have ready-to-go "show cars" for sale. Q4: How much will it cost to build a Dragon Roadster? A: Assuming New ZZ4 Motor, Tremec 5-spd transmission, allowing $2500.00 for paint,$1000 for used C-4 suspension parts, and $1500 for Wheels and Tires, buying the SeriesI kit and all remaining parts to complete the car, an event-ready Dragon Roadster can be built for $27,000 to $30,000. Q5: I've seen several Kit Car Feature Articles on the "Fire Breather" and "Dragon Strikes Again". Can I get a car like the ones in those articles? 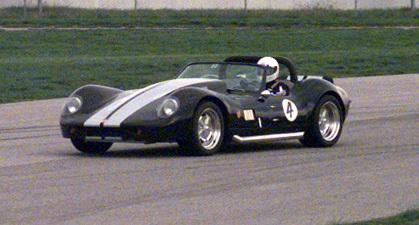 A: The Feature Article Dragon, as seen in the July'02 Kit Car Magazine, was the prototype roadster, which was raced at Kit Car's Run & Gun 2001 Event. We built molds to make that body, and using the prototype body from those molds, we made several changes to the styling, which are nicely documented in Kit Car Magazine's JULY'03 Issue, by enlarging the front air and brake-duct openings, softening and enlarging the hood bulge to permit clearance for high-rise intake manifolds, flaring/increasing the fender clearances for maximum size 345x tire fit. Changes to the interior include widening and lengthening the footboxes, for a luxuriously roomy fit even for all you Big Boys. (The footbox covers are removable now, which also further eases access to pedals, throttle linkages, and plugs & header installation.) We added a molded removable dashboard so instrumentation and wiring is easy. We made the transmission tunnel removable so access to the bell housing, transmission, drive shaft, and seat belt mounting points is possible without crawling under/jacking up the car. Since the SeriesI Dragons, we have further developed a 2x2 Steel and Aluminum Space Frame, refined the body shape and now offer choices for suspension. We feel that the changes not only improve the aesthetics of the car, but make it easier to build and tweak. If you really want "the Red Car", we can still make one for you. A: We are working very hard to deliver the Highest Quality Product possible, from the race-quality frame, to the fit and finish of our uniquely styled body. We conservatively estimate our production capabilities at about 1 Dragon Kit per month. Please allow about 4-6 weeks from time of confirmation of your order(after receipt of your initial deposit(see Terms & Conditions) to readiness for shipping/picking up. Q7: I can buy a Cobra Kit for under $12,000. What makes a Dragon cost so much more? A: To do your homework and research while shopping for a project of this magnitude, then, naturally, you need to compare apples to apples. Sure, there are Cobra Kits out there for under $12,000.00, but what's the fine print? To complete a Cobra Kit that would be race-ready, with IRS suspension, and a NEW motor and drive train, you would have to spend at least $27,000 to $30,000 to drive a 2200 pound car that looks just like most of the other cars that traditionally show up at kit car events. 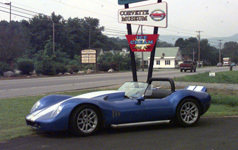 For the same money or less, you get a Unique Dragon Roadster with a NEW ZZ4 350hp Chevy motor (comes with GM warranty), legendary Corvette geometry with the used C-4 suspension, on a race worthy frame. And it weighs less than 2000 pounds without the need to sacrifice your wallet or your diet. Conversely, if you already have a suitable Corvette "donor",and since our "suggested parts list" includes at least $9000 in costs for Motor, Trans, Wheels, Tires, Brakes, suspension pieces, Radiator, & steering, it would be possible for you to build a Dragon for UNDER $25,000 plus your donor. Q8: Fit and Comfort are a big concern. A lot of "component cars" have cockpits/drivers seats which are way too cramped and uncomfortable. Since the Dragon is only 39" high, will I be able to fit in a Dragon? A: That concern and the lack of solutions(until the Dragon) in the kit car industry is one of the main reasons behind the birth of the Dragon. John Chesnut is 6'2" and 230 pounds. In the interests of his own comfort, the cockpit of the Dragon was designed to easily fit him with legs fully extended in a race driver's position.In fact, the driver's seat is 2" wider than the passenger seat. Seat height position was designed low to keep the car and center of gravity as low as possible. You sit IN the frame, not on it. We were able to bring a demo car to the Kit Car Nationals Show in Carlisle in May 2002, where, for the first time, prospective Dragon customers could actually sit in the car and see for themselves just how comfortable the cockpit is. Several enthusiasts were actually very pleased to finally find a car which could accomodate them comfortably(try THAT in a GT-40, for instance). One gentleman was 6'6" tall. Customizing the pedal placement and the steering wheel location would easily allow him to fit in the driver's seat. If you're not Big & Tall, the seat bucket can be raised by using additional memory foam padding or by using our custom seat liner, and shortening the pedal reach is just a matter of determining your preference for the location of the pedals' mounting plate. Q9: What drivetrain does Dragon accomodate? A9: The Dragon chassis and body has been designed to use Small Block Chevy Power mated to Richmond or Tremec or GM Auto-Transmissions. These set-ups require only that the drive shaft be shortened/fabricated to fit(a 9.5" driveshaft is in our Production Dragon with a ZZ4 and Tremec 5speed). LT series and LS series engines will also easily fit into a Dragon using the correct engine mounting plates. Q10: Will a Big Block fit in the Dragon? A10: Any powerplant other than a Chevy/GM Small Block will require modifications in order to fit the frame and body. Notably, the motor mounts would have to be changed to receive the Big Block of your choice, you would probably have to reshape the inboard footbox walls and tops in order to clear the wider block dimensions, and you would need to have a custom set of headers made to properly fit in the space under the hood. Depending on your choice of induction, you might also have to enlarge the hood bulge or use an air scoop which protrudes through the hood. We don't envision too many Dragons being built with other than Chevy Small Block Power. Q11: How much Horse Power can a Dragon handle? A11: While we expect that most Dragons will be built using new crate engines or stroker small blocks with up to 730 HP, there may be an incarnation with some unworldly Monster Power. If the characterization of our frame by the Former NASCAR Fabricator of the Year who helped us design and produce the Dragon Chassis is any indication ("The Dragon Frame is the strongest frame I have ever built." -Fred Rosner), a Dragon will take whatever power you need to put into the car. Still remains to be seen how you will get all that power to the ground, but that's the rest of the fun, isn't it!? Q12: How long will it take to complete a Dragon Kit? A12: Using our Basic Kit(Frame and Body) and after acquiring all the parts needed to fully build your Dragon, here's a rough time table for Kit Completion: You can completely build your Dragon to "go-kart" stage and drop your finished body onto the drivable chassis. I'd give the body guys a week to get the car painted. My feeling is, when all parts are accumulated and in "ready-to-install" condition(after the C-4 Donor suspension parts have been cleaned and rebuilt) you will spend 1 day laying out & shaping your tail-light, hood vents, gas-cap, roll-bar and dashboard instrument cutouts, 1 day under-coating, 1 day installing suspension, 1 day installing engine/clutch/transmission, 1 day plumbing brakes and hydraulics, 2 days connecting radiator and finishing out engine compartment, 1 day for fuel-cell and fuel line installation, 1 day for windshield installation, 2 days wiring, 2 days doing carpet/interior, a lifetime of driving. Q13: What about exhaust? Do I have to use a custom-made set of headers and sidepipes? A13: The header/exhaust system for the SeriesI Dragons of the Kit Car Article and the Carlisle Kit Car Nationals were Custom Headers. Jigs have been made to accomodate either 1-3/4" tubes for the ZZ4 motor(or similar) or 1-7/8" tubes for the large port Aluminum Heads of the type which are on the Bill Mitchell 427 Motor, and we can also mate the collectors to exhaust flanges that fit the LT-1/LT-4 Motors, so you can have a relatively inexpensive "custom" exhaust by ordering your exhaust set directly from Dragon Motor Cars. The Dragon was, from the first, designed to use readily available mail-order or "over-the-counter" parts. To this end, "hugger headers" and a side pipe muffler configuration from JCWhitney Catalog, complete with a chromed sidepipe heat shield, can be used to finish out your Dragon, making the cost of your exhaust system around $300.00US plus the short connector pipes for attaching the headers to the sidepipes. Q14: Is there a Dragon Coupe in the works? A14: Isn't Photoshop fun!? We've always thought it would be cool to have a fast-back style coupe top for the Dragon. Plans for a coupe are on a way back burner.